At The White Pear, we take care of all your landscaping needs. My passion is to inspire and to help people make their gardens and outdoor living spaces more beautiful, functional, and healthy. If you’re looking for an award-winning, full-service landscaping professional, look no further than Landscape East & West. 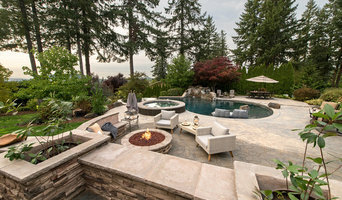 Since our inception in 1980, Landscape East & West has provided our customers with creative designs and quality workmanship in construction and maintenance while becoming a leader in environmentally sustainable practices Our commitment to excellence in serving the customer with outstanding design, implementation and ongoing care continues to win us awards and happy clients. Being able to serve all the needs of our clients gives them peace of mind knowing that whatever the challenge, Landscape East & West will be able to take care of them. At Landscape East & West, we don’t just talk about environmentally friendly practices, we live them. Our sustainable services include organic fertility, smart irrigation services, job site recycling, and energy efficient night lighting just to mention a few. In addition to our commitment to our customers and the environment, we have a sincere respect for our employee welfare, training and opportunity for advancement. Our low turnover and employee commitment to our customer satisfaction goals allows a consistent high quality work in the field. Send us a message and let’s talk about what we can do for you. Raised in Honolulu, Hawaii, I enjoyed an early exposure to lush tropical landscapes and fell in love with the diverse plant choices. I attended Punahou School and then spent two years at University of Hawaii studying tropical Horticulture. I then transferred to Oregon State University and graduated with a split major in Horticulture/Landscape design, and Business. My dad, a former horticulture research scientist for both OSU and U of H was a strong influence in my love of plant material. My mother a school teacher and artist gave me my sense of design and color. To this day, it is from my parents influence that I’m still doing what I really love to do. Designing and building beautiful functional landscapes. My daughter MacKenzie, a recent OSU graduate in business helps me with all aspects of marketing as well as customer service. She loves to critique my designs and gives her input into the company where ever she can. 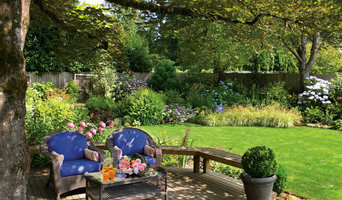 Barclay Bullock owner of Barclay's Gardens and More, has been a specialist in custom residential landscape construction for over 20 years. As a company, we offer that rare combination of excellent service, strong technical expertise, as well as high value for your landscape investment. We can assist you with the design and site development phases, making sure your new landscape and landscape features blend well with your existing structures, your property, and your tastes and needs. We are a Design/Build company; that means the garden plan goes from concept to completion with one entity only. No third party confusion. We provide a broad array of services to choose from and take care of everything; materials, permits, fees, & utilities to name a few. Build As You Go: You don’t have to do it all at once. Customization means you can build in stages over time when your budget and/or time allows. 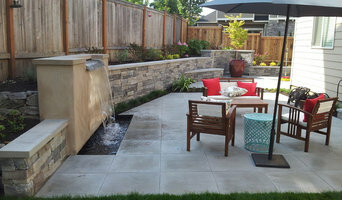 Full Phase Licensing: Some companies may only be able to design, some hardscapes and plants, others only irrigation. 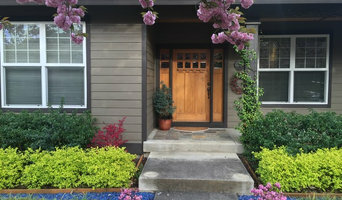 The Garden Retreat, LLC is fully licensed by the Oregon Landscape Contractors Board to design and install everything from hardscapes to irrigation, lighting, water features and more. Philosophy: We strive to be environmentally conscience as a landscape company. We do not spray harmful chemicals and use gasless equipment whenever possible. 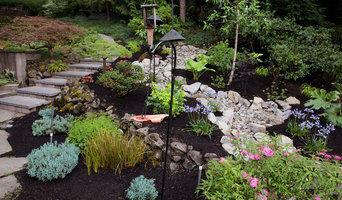 We also use natural fertilizers & transplant treatments. For questions about our methods and services call the number below.